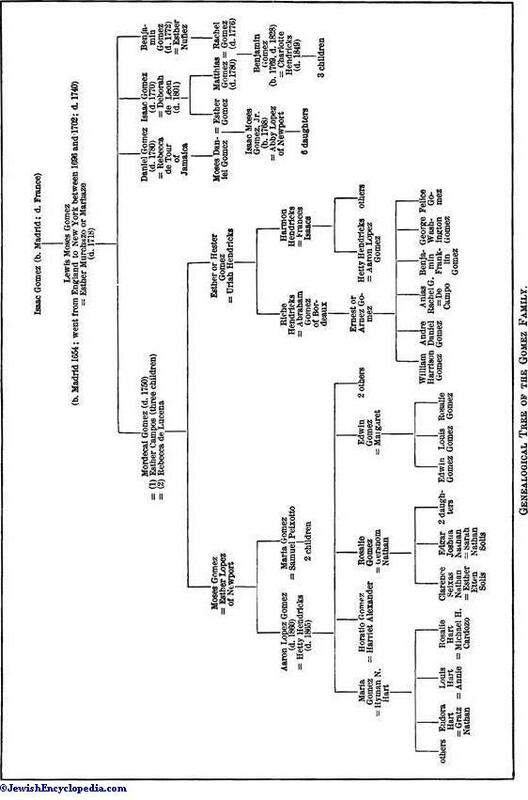 Genealogical Tree of the Gomez Family. 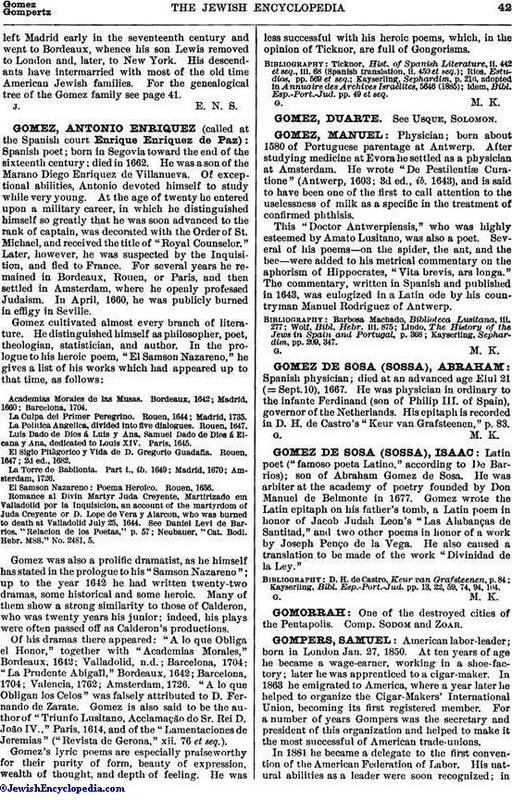 The Gomez family, or rather that branch of it which has established itself in America, traces its descent from Isaac Gomez, a Marano who left Madrid early in the seventeenth century and went to Bordeaux, whence his son Lewis removed to London and, later, to New York. 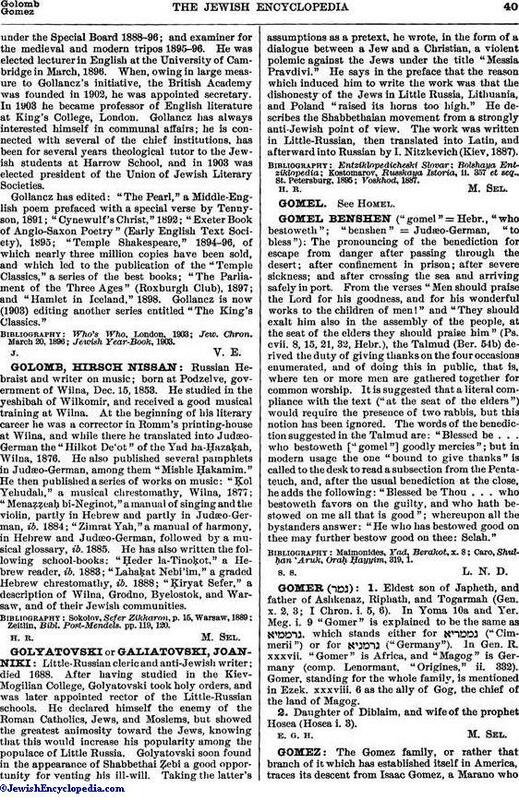 His descendants have intermarried with most of the old-time American Jewish families. 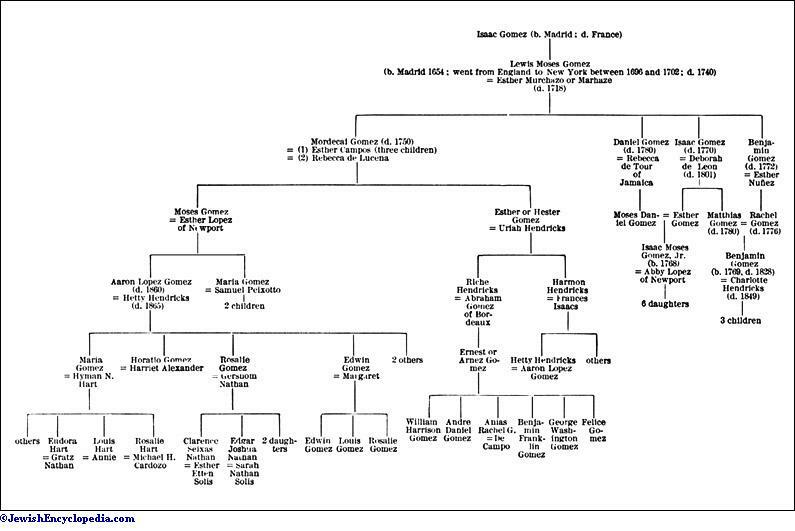 For the genealogical tree of the Gomez family see page 41.